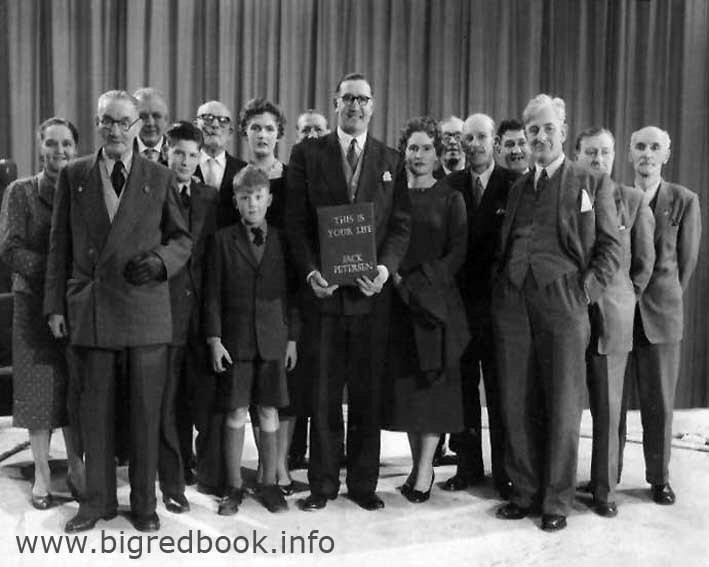 Our followers may be interested in some personal family history, and the night a very young Petersen boy – myself! – was whisked away from his boarding school in England to attend a very memorable evening. In Barry Memorial Hall, BBC legend Eamonn Andrews presented my father, Jack Petersen, with the famous ‘This is Your Life’ book. 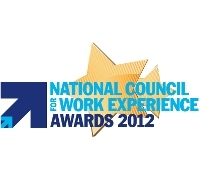 We have been shortlisted for a National Council for Work Experience award for the second year in a row! These national awards, now in their ninth year, reward organisations who offer ‘outstanding placement opportunities’ to students and graduates. Entries come from organisations of every size and in every sector across the UK, and this year the NCWE received a record-breaking number of entrants for all categories. Having closely missed out on the award for ‘Work Placement of the Year: Under 10 employees’ in 2011, we are thrilled to have been shortlisted in the ‘Best Micro Enterprise’ category this year. And what a coincidence, having blogged about the importance of micro businesses like ourselves only last week! These awards attract some major players across all aspects of UK business, with previous winners including BP, Peugeot, Barnardo’s and Tesco. We are delighted that the value of our own work experience placements has been recognised among their calibre. I am myself a Petersens work-placement alumnus, having joined the team here through the Welsh careers service GO Wales. With the graduate market the way it currently is, I am a firm believer that work experience and internships have never been more important. Their increasing value has been repeatedly reported on in the media – and it’s a hot topic on my own graduate employment blog, What I Did Next. I’m incredibly thankful to Petersens for the quality of the work experience they offer. I’ve been hands-on since Day One, an opportunity and a level of responsibility I’m not sure I’d get in other, larger agencies. I’m so pleased that we’ve been shortlisted (again!) – a worthy recognition! Thanks again to the NCWE for making us finalists. I’ll be sure to keep you all informed as to how we get on at the awards ceremony in March. Remember you can follow our Twitter account (@PetersensPR) for regular updates from all the team. Despite the chilly temperatures and soggy start, a fantastic amount of attendees descended upon the St David’s Hotel in Cardiff Bay this morning. 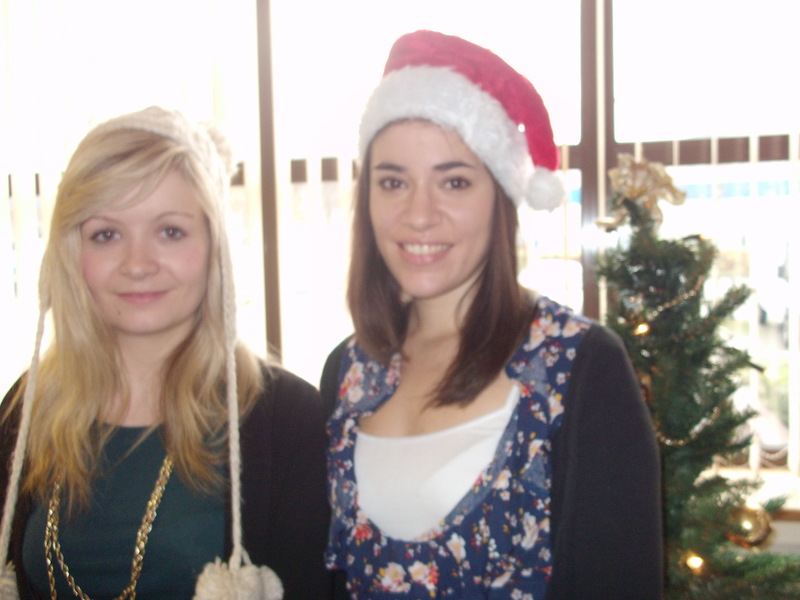 Among them, and acting as Sally’s right-hand woman, was MSc Marketing student Sophie Irvine. Sophie very kindly agreed to write a guest post for our blog on today’s meeting. You can follow her on Twitter at @SSOPHIRV . “Once again there was a great turn out at the Cardiff Breakfast Club meeting this morning, with many of Cardiff’s business community attending due to a keen interest in this month’s guest speaker Rhodri Talfan Davies, Director of BBC Wales. Rhodri gave an interesting speech on how the ‘off-screen events of the BBC can catch attention when there is nothing on-screen’ and the challenges of broadcasting in the current economic climate. He made it clear that, like many other businesses in Wales, the BBC has been affected by the recession, and is facing their own challenges . However, it is the BBC’s mission to overcome these issues, for example by by making cut backs on overheads. He also suggested overcoming these challenges by reducing programming spend on those programmes outside of “peak time”, that may have fewer viewers. Put simply, he stated that the main focus was making sure that the BBC were clear about their priorities and that they ‘continue to invest in them’. To this end, he argued that Wales has the ‘talent, ambition and significant opportunities to produce extraordinary programming and expansion in the creative industry’. This has already been proved by the growth in new production centres, like Roath Lock, the home of many well-known TV shows such as Casualty, Sherlock and Dr Who. As a result, he is confident that the BBC will play ‘a vital role in central life’ and continue to concentrate on the ‘bigger vision’. Rhodri discussed the importance of partnership in creating this vision. 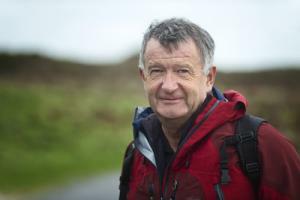 He stressed particularly the most dominant partnership that has been formed recently between the BBC and S4C, where a balanced agreement has been reached. He went on to outline some of the benefits of this partnership, including enabling Wales to get the best from its regional programming and collaborating its online media space. This seems to make perfect ‘business sense’ in this economic climate. Thus, he undoubtedly feels that the role of the national broadcaster is now ‘very precious’. Thanks to everyone who came along today. The next Breakfast Club will take place on the 16th of February, with Peter Jones of the PHS Group our guest speaker. If you would like to be put on the mailing list for future Breakfast Club events, please email sally@petersensone.com. Reading through the papers yesterday and viewing so many tributes to two great icons it made me realise what amazing men they were. From totally different backgrounds they shared a unique blend of courage, tenacity, honesty and principle to be the ultimate human beings. 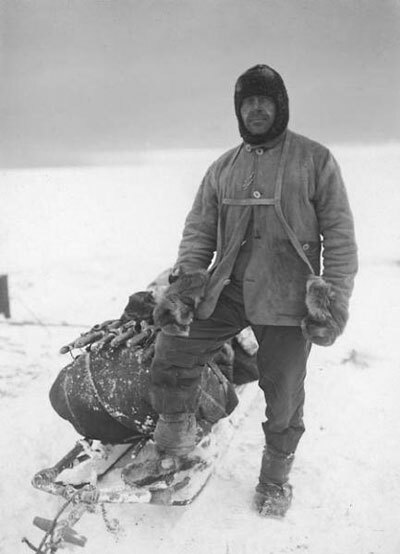 Yesterday marked both Ali’s 70th birthday and Scott’s achievement, 100 years ago, or reaching the South Pole. Would it not be wonderful if our children and grandchildren could study and strive to emulate these unique men? 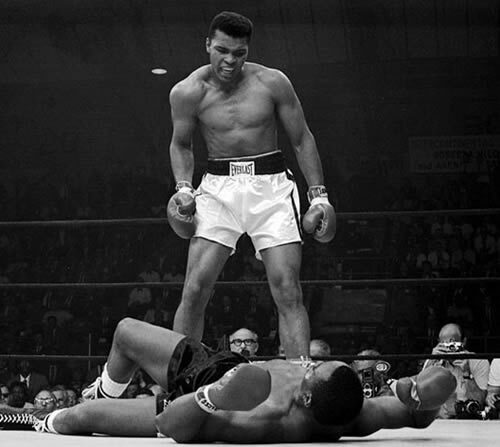 If the world could produce a few more like Scott and Muhammad Ali, you wonder what influence they could bring – not just to their countrymen, but to the whole of the human race. Finally, and in no way to diminish his epic trek, I must congratulate William McNamara, founder of the Bluestone Resort, who at 1am on January the 16th reached the South Pole himself, completing the so-called “Last Degree” of Captain Scott’s journey. 62 miles of trekking the Antarctic continent, unsupported, pulling 80kg of equipment!! William, what a marvellous achievement – well done. How lucky we are to have Dame Fiona Reynolds running The National Trust. She spoke last night at the Cardiff Business Club with great passion, and modestly explained how the charity has grown under her impressive and inspiring leadership. Her love of the countryside, Wales, and the United Kingdom’s ‘special places’ was infectious, and I believe she made many friends in Cardiff last night. With a woman of such calibre heading up one of the world’s most successful charities, our countries beautiful natural assets are in safe hands. Come back soon, Dame Fiona! The National Trust protects over 350 historic houses, 28 castles and 254,000 hectares of land of outstanding natural beauty across England, Wales and Northern Ireland. This includes Wales’ own Powys Castle, the beautiful walled gardens at Llanerchaeron, and walking paths from Anglesey to Pembrokeshire. It keeps these ‘special places’ open to the public ‘for ever, for everyone’. 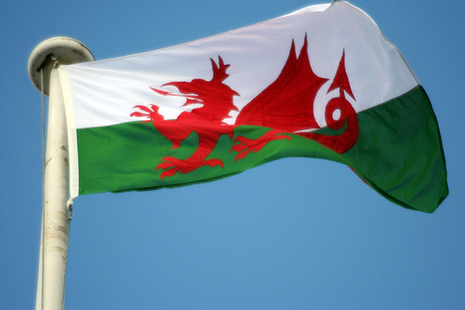 As I stated in my blog last week, for a tiny nation, with only 5% of the total population of Great Britain, Wales produces a staggering amount of successful businessmen and women, academics, leaders and sportsmen. Therefore I totally support the comments Professor Laura McAllister, Chair of Sport Wales, makes in today’s Western Mail. She reminds us all that with only 5% of the population, our sportsmen and women have brought home 25% of Great Britain’s Olympic gold medals – unbelievable! With today being 200 days to go until the opening ceremony, let’s use the Olympics this year to remind the whole world what a remarkable little nation we are: celebrating our’ past successes, and, of course, hopefully creating new ones! We must embrace the Olympics and make our visitors and those countries using Wales for their pre-Games training welcome, so that they will return to their homelands as true ambassadors for Wales. 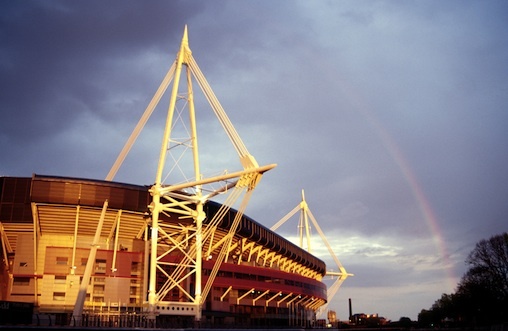 With the very first matches of the entire games, the women’s football openers on the 25th of July, being played our very own Millennium Stadium, the world will be watching us right from the start. We may not be hosting the 100-metre sprint or the rowing eight finals, but there are huge benefits to be reaped from the ‘Olympic fever’ that grips the globe once every four years. Wales can only benefit, in both the long and the short term. Will all those bleating about Wales not getting its’ fair share of the Olympic purse start supporting our athletes, administrators, hospitality franchises and all involved, to make the summer of 2012 the best Olympics yet. 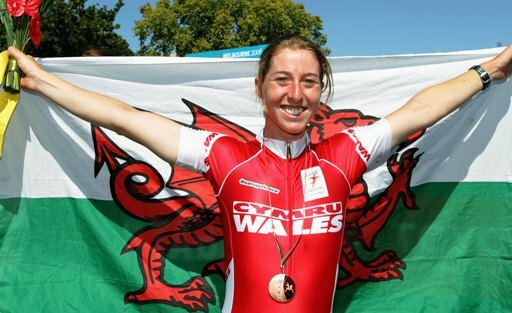 Nicole Cooke, Cycling – our first gold medal winner at Beijing 2008. Jade Jones, Taekwondo – who recently appeared on Jonathan Ross’ show. Aaron Ramsey, who may well be representing Wales in Team GB, modelling the Olympic kit. 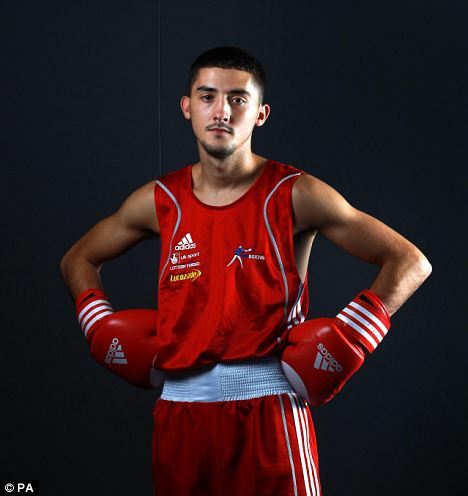 Andrew Selby, Boxing – 2011 European Champion, born and bred in Barry! Happy New Year! We hope you all had a great holiday season, and are feeling refreshed and ready for 2012. This new year sees some changes to the team here at Petersens. We sadly said goodbye to Account Executive Becci at the end of December, as she leaves Cardiff for an exciting new start inLondon. Many of you may know Becci as the coordinator of the Cardiff Breakfast Club, and we are sure you’ll agree she has done a fantastic job over the past 18 months. All of us at Petersens wish her success for the future – good luck, Becci! All is not lost, however, as we have also welcomed a new addition to the team. Becci was kept busy up until Christmas introducing our new Account Executive, Sally Taylor, to all the exciting things we have in the pipeline for 2012, and Sally is really looking forward to getting stuck in with everything coming up this year. 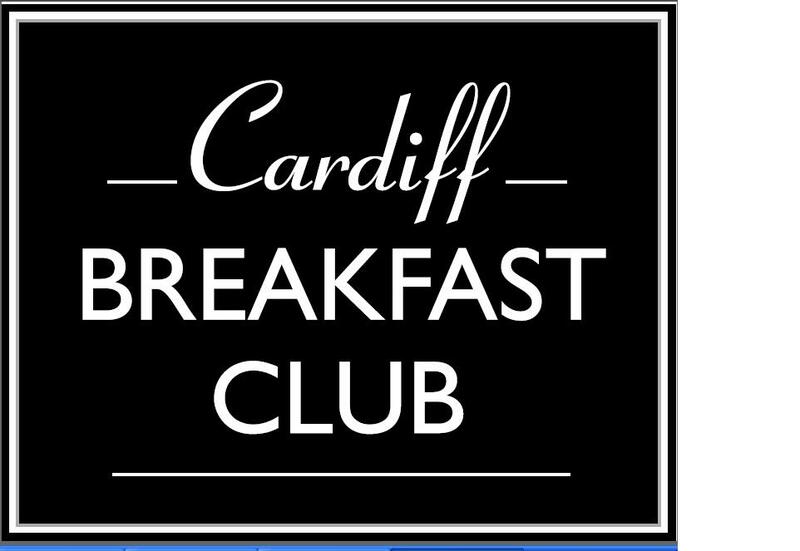 Speaking of upcoming events, places are still available for the Cardiff Breakfast Club meeting on the 18th of January. This month’s guest speaker is Rhodri Talfan Davies from BBC Wales, who will be discussing ‘creativity and opportunity in difficult times’. It promises to be an interesting and engaging discussion. Please email sally@petersensone.com for more information or to reserve a place. We’d like to wish you all the best for the coming year. Happy 2012! How refreshing to read Sion Barry’s article in the South Wales Echo (2nd January). We really must up our game if Wales is to grow in the future. The lessening of our share of inward investment makes for very worrying reading, bearing in mind our positive position over the past few years. We must improve the ‘Welsh Offer’ to prospective investors, by improvements to our infrastructure, adopting a new city region approach to economic development and planning, and through a more proactive form of self-promotion. This tiny nation has produced and nurtured so many world-renowned artists, businessmen, scientists, actors, politicians, writers, sportsmen, doctors, philosophers, engineers, teachers, broadcasters… I could go on! Wales may be tiny, but it is proud too. We must begin to make a conscious effort to tell others about how great we are, and how fantastic we can be. We have something here in Wales besides a beautiful country. We have a people whose brilliance and work ethic is second to none. What is needed now is a well-planned campaign making use of all the new and traditional media to make potential visitors and inward investors take notice and put Wales on their shopping list. At the start of this new year, let’s start thinking bigger, and make Wales the envy of every other nation in the world.